by Sun, Wind and Rain! Clay & Rock’s passion is to source materials from around the world, with the emphasis on offering our customers that something a little bit different. We have over 25 years’ industry experience, providing tiles to clients throughout the UK. 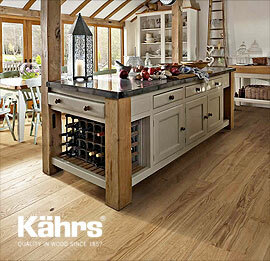 This includes supplying tiles and wood flooring for major high quality projects and renovations. We have recently supplied tiles to large projects in Abersoch, Anglesey, North Wales, Wirral, Heswall, Shropshire, and Nantwich. As we import many of our products directly we are also able to pass on many benefits of our buying, giving us that competitive edge. We believe it is very important to understand our clients’ requirements. Our philosophy is to provide a high level of service from initial enquiry through to completion. We believe good communication and attention to detail are essential. Our wealth of experience has enabled us to work closely over the years with architects, designers and builders, supplying many commercial projects – including those which require a more technical approach such as swimming pools, wet rooms and much more. Our Cheshire tiles showroom features many large display settings, including tiles, stone and wood flooring, which make it easier for our clients to visualise how our products would look in their own individual spaces. With competitive pricing and dedicated service you can count on us to bring any project to life, at the right budget. 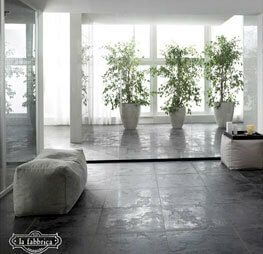 Brands such as Rex, La Fabbrica & Edimax are at the forefront of Italian tile production. 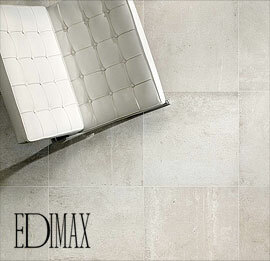 New technology allows our suppliers to be very advanced in the creation of Porcelain tiles giving the end user the choice in purchasing a porcelain tile that looks like stone, (such as La Roche from Rex and Instone & Oxida from Edimax) without the maintenance which is normally associated with stone. We have also seen the development of large format material which answers customer demands for larger floor areas to be tiled. Many wood-look porcelains such as ‘Amazon’ by La Fabbrica are also available, again with little maintenance required, it allows use in high foot traffic areas and bathroom floor areas where real wood is not always suitable. Many people are also tiling more than one room at a time, this larger format gives the customer the appearance of rooms that flow, looking bigger and lighter. 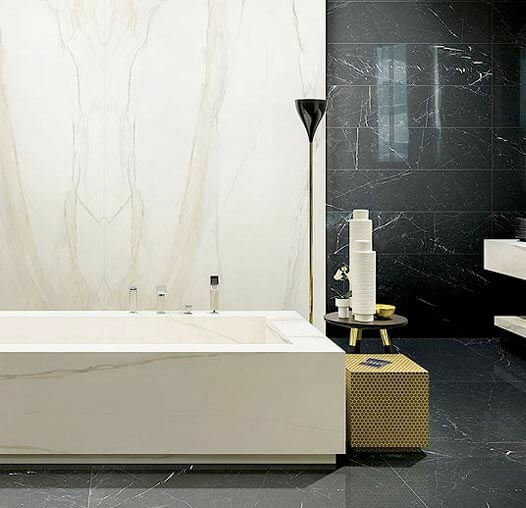 This coupled with the durability, easy maintenance and hygienic qualities of the porcelain will allow your floor ( if required ) to last a lifetime. Sophistication and elegance from this high end brand.